According to latest Global Games Market Report released by Newzoo, you may stop arguing about which is better (if the sales can determine goodness, of course). 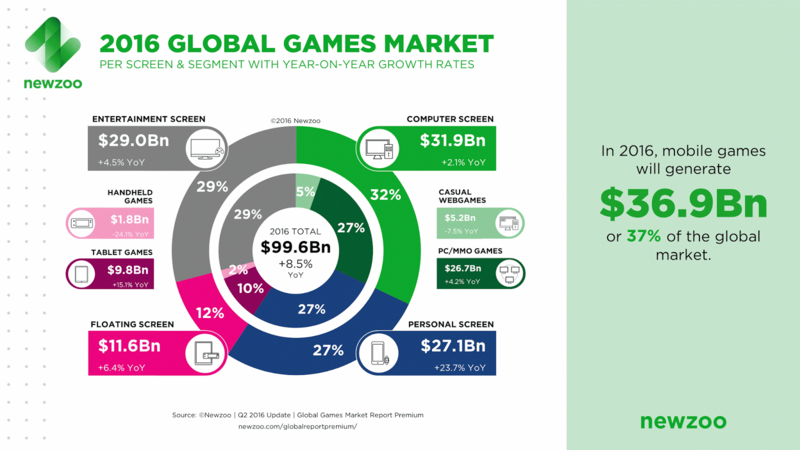 Allright, they didn’t state that but have shared a report showing the sales of mobile, Pc and console games and it is highly interesting. Seems like Pc gaming is more profitable than console gaming in 2016 while mobile gaming is more profitable than all. These projections are analyzed in various ways, comparing year-on-year growth rates, market share, CAGRs and absolute amounts in USD between the regions and segments, as well as the development of specific regions or segments in time. These projections are compared to available third-party sources on a local or global level. 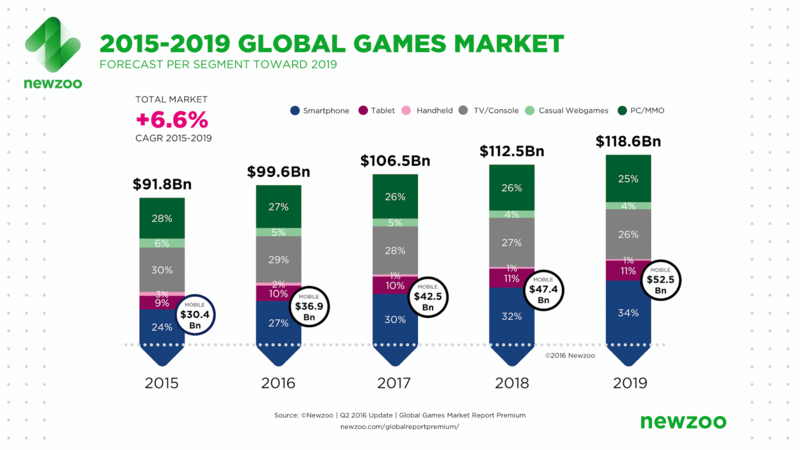 Given the pace of the developments in the games industry, Newzoo reviews its conclusions and assumptions every quarter, taking into account newly available data and insights. Before publication of any data, Newzoo also performs validation checks in various ways including comparison against historic internal data, comparison against market figures from alternative sources and validation from several Newzoo clients. Seems like we all are going to be slaves of mobile gaming but whatever the report says, I always prefer Pc over everything.